My agent is looking at the proposal today, and then we'll talk, so cross your fingers that she likes the idea!! 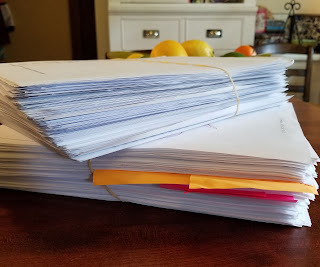 First my editor's edits (that's the pile with the stickies) on A BITTER FEAST, then the copy edit. Fortunately, it was the same copy editor I've had for many books and she does a great job. Then, today, my page proofs arrive!! These are the typeset pages, and it's the first time you get to see what the finished book pages will look like--and how they will read with all the changes that you made in the copy edit. It's very exciting! And also very scary, because the only changes you can make at this point are to correct type-setting errors. So if you're not happy with what you wrote, yikes, it's too bad. 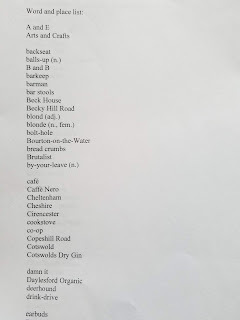 And now, because it's spring, and we are all about flowers, here's a little snippet from A BITTER FEAST. 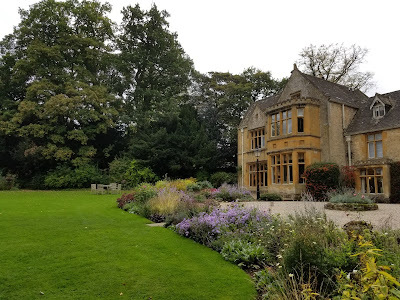 Gemma has arrived at Melody Talbot's parents' house for the weekend, and this is her first view of of the fabulous gardens. From the garden came the Jack Russell’s high-pitched yips, and Charlotte’s even more shrill squeal of excitement. Gemma realized she’d left the child in Addie’s care too long. She stacked the breakfast plates in the sink and headed for the French doors that led to the terrace. She stepped out into the crisp morning and stopped, her breath catching at the sight that greeted her. Last night, she’d only glimpsed the garden through the windows in the fading dusk, and then her gaze had been caught by the distant hills. Now, she marveled at the riot of color and symmetry spread before her. The flagged terrace merged into a smooth expanse of emerald lawn anchored by a rose-draped pergola. Two long tables had been set up in the grass on either side. At the lawn’s edge she could see drifts of flowers bisected by a shallow flight of steps, and beyond that, more green lawns and steps, leading her eyes down to the curve of the little river. On either side of the top lawn, double herbaceous borders blazed in a profusion of late summer reds and golds. She’d no idea so many different flowers even existed. And here's a photo from a very real house near my fictional Beck House. This is the Lords of the Manor hotel, in Upper Slaughter, Glouscestershire. The borders are lovely but not as beautiful as the ones I made up! The page proofs also mean that ARCs will be coming very shortly, so look out for a giveaway soon! 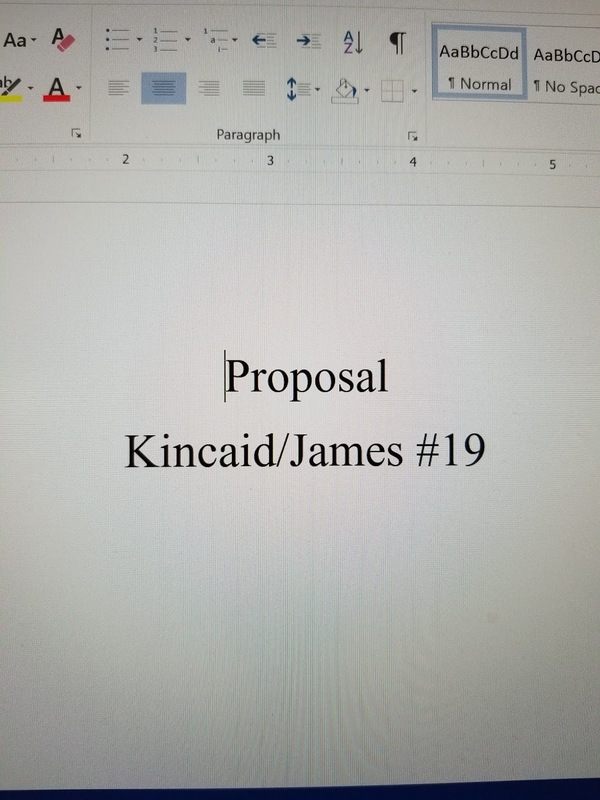 Kincaid/James #18, coming October 8th, 2019 from William Morrow. Readers, how good are your copy-editing skills? And can anyone else get compound words right? What a lovely scene, Debs . . . in my mind’s eye I can see all those lovely flowers! I’m looking forward to reading the book. My copy-editing runs to correcting my daughter’s college papers . . . I guess I do okay because she keeps sending them to me to “fix” for her . . . . Looking forward to this and to #19. My copy editing skills are pretty good, I worked in that capacity for several years in legal publishing, and haven't forgotten which end of a blue pencil to use. My copy editing skills are, frankly, crap, mostly because the copy I'm usually editing is stuff I wrote for work that isn't too interesting anyway. I can practically recite it in my sleep, so my eyes just skim over any typos and totally blank on stuff that should be there but isn't. It's worse when I'm tired, and it doesn't just apply to copy editing. Yesterday, when I came back to the office from lunch, I was so focused on digging out the door key I walked right past a lovely prairie kingsnake that had draped itself all along the railing at the top of the steps. Didn't even notice it. Had to be taken back outside by my horrified colleagues to be shown the snake once I got into the office. Lucky for me, it was a friendly, harmless sort of snake. If I can miss something that large and potentially dangerous, typos can frolic at will. Ugh, Gigi. I'm still shuddering. I know most snakes are harmless--but ugh. Sounds like an Irish curse, "And may your typos frolic at will." I love it! We woke up one morning a couple of years ago to find a King snake that was about six feet long on the tree outside our kitchen window. So exciting! We did manage to get a photo. My co-workers got several photos before I showed up. It was kind of fun. Can't wait! I have the spelling gene and a good eye for errors - except all my own, of course. I peer edited the software manuals my group wrote at my hi-tech job for years in addition to writing my own. The hyphenation rule we followed was if two words acted together as an adjective, you add a hyphen. If they are a noun or a verb, you don't, for example, "the peer-edited draft" vs. "I peer edited that draft." And then there's, "Click the Login button to log in." The name of the button is one word, the verb is two. My fiction copyeditors seem to have other rules! Very helpful, Edith--if I could remember it when I'm writing! I confess to being several books behind, but I will catch up. I see there is much, much more for me to encounter and I'm really looking forward to it. 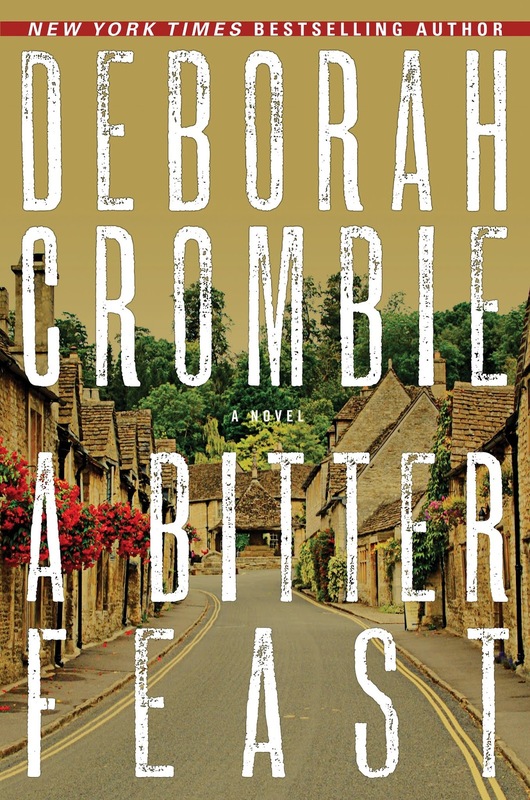 Can't wait to read it Debs! Are you excited about the new proposal? Lucy/Roberta, yes, but on pins and needles waiting to see what my agent thinks. And then my editor, of course. I think I have enough of the set-up to write the first four of five chapters, and I want to get going on it! Like Edith, I use "copyeditor", one word. In just the four preceding comments that particular compound word was expressed every possible way. They are difficult! But I like your explanation, Edith. If I could remember how it goes it would come in handy. I'm a pretty good editor, though. Steve used to have me proof and edit his columns, articles, and scripts, and I copyedited five novels for our former neighbor, Rod Pennington. For years I edited a professional newsletter, too. I'm good at spotting spelling and usage errors, double words, and multiple uses of the same word. I'm crap at anything to do with plot, though. Steve and I still critique one another's writing. He's handy to have around, since he majored in English at Brown. I'll be clicking the heels of my ruby-red slippers together until they wear out between now and that giveaway! I'm a decent copy editor--I always aim for minimal changes and never changing anything that will affect the author's voice. When in doubt about compound words, I turn to Webster's. Debs, your description was so vivid I expected to see a riotous garden of color when I looked out the window! Karen, you are quite the gardener. I think you'll like this book--although I learned so much more about garden design than I actually got to put in. And ditto on restaurant cooking. Fingers crossed Debs and toes too but I'm not worried for you. I have a good image in my head of the garden you describe and would like to be there and meet with Gemma. I'm better at copy editing in French than in English as it is my maternal language but I can tell when a book is not well edited. 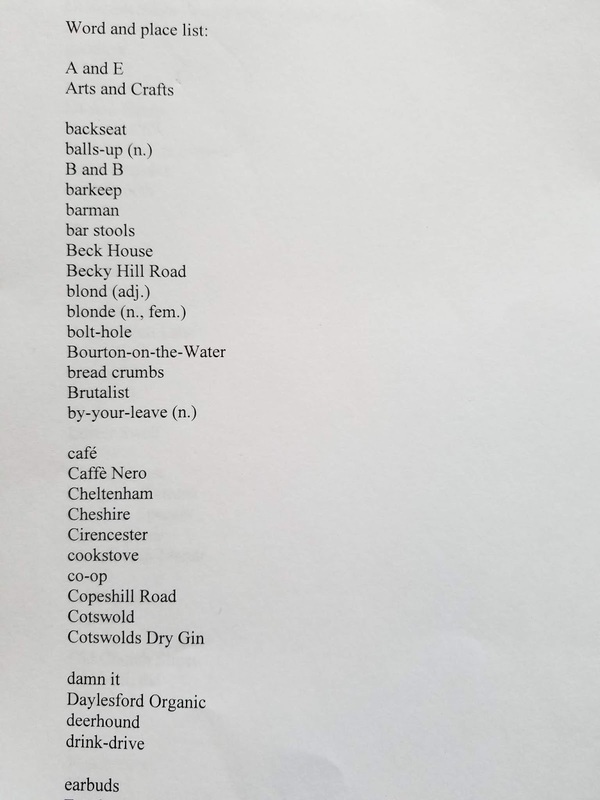 It is so exciting to read an excerpt from A Bitter Feast AND see that work has begun on #19! I'm beside myself. I am also challenged by compound words. Commas and I have not always been the best of friends, either, and I am encouraged by the renewed acceptance of the Oxford Comma. But I am a very good speller. In my day job, my boss comes from a journalism background and not surprisingly, is a very good writer. But sometimes her edits can be annoying because they are questions of voice rather than truly correcting something. I used to just think that secretly, but then another colleague opened up to me about the same concern, leading me to believe perhaps it is a legitimate observation. As my colleague put it, "I read the edit and I think yes, what you wrote is fine. It is as good as what I wrote. Not better, just a different way of saying it." I made file cards with my regular offenses, including EMTs, cellphone, email. Lovely garden description! Nobody does a herbaceous border like the Brits, planned for 4-5 months of seasonal display. I am why copy editors have a job. I'm happy that my complete inability gives someone else a reason to go to work! Debs, I had this idea that writers gave themselves a bit of a "breather" between books but your post has dispelled that notion. You are amazing. I love James and Gemma! How enticing, that Proposal. I need to get cracking. Headline in last night's Dallas Morning News update read "put on the breaks." Ack!! Shalom Reds and fans. I am only a would-be writer but once, long ago, I was a typesetter. For this reason, to this day, when I read something written by someone else, typos tend to jump off the page for me. Things like using “except” for “accept” annoy me no end but I find myself making similar errors all the time. It is not as easy to see your own mistakes. I was asked last fall, by the college I attended, to write something for the alumni magazine. I was not given much time, so I sat down for about 5 hours and cranked out a brief essay of several paragraphs. I was pleased when the article appeared in print and only one or two small edits were made in what I wrote. 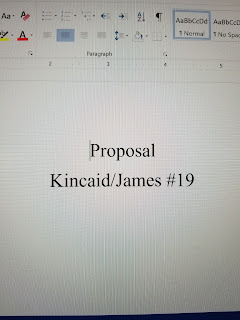 I anxiously await the James/Kincaid no. 18. The series is one of the few that I have read from beginning to end, albeit, perhaps not in order. I have just started re-reading The Sound of Broken Glass as part of my preparation for the new book this fall. David, I want to reread that one myself, especially, as there as some things that may carry over to #19. It occurred to me that we writers throw out terms like edit and copy edit and page proofs with abandon, but that readers might not know what all this means. Hope this was a helpful primer. Darling Deb, to think we knew you way back when! I look forward to going back to the Slaughters with you, both Upper and Lower, and spending a few too short evenings with Gemma and Duncan and the brood. I hope I'm close to the top of the giveaway lineup although you know I'd buy the grocery list you wrote if it were for sale. On occasion my boss would ask me to proofread his correspondence, especially if it was going to the mayor or to an executive of a company. Debs, wonderful post! I automatically edit myself as I write, out of habit. What are compound words? Question about #19 - Will the Brexit issue be part of the story? I am wondering about what is happening in England now with voters who voted to leave the European Union. I was surprised that Britain was part of the European Union in the first place since Britain still used the pound currency instead of the Euro currency. When I visited Europe, I learned that the British pound was still stronger than the Euro dollar. Look forward to #18 in October! Looking forward to it, Debs! Oh, don't even bring up compound words. Redbrick. Crewneck. Faceup. (really???) AHhhhhh. It's been fun reading what everyone is working on so far this week. I haven' had much to say myself though. I had three articles go online this week so I'm just working on a couple new CD reviews and next week's Cassette Chronicles article. No concerts until May now. Totally off-topic, but for those JRW readers near Cambridge, MA tomorrow, there's a mini book convention at the Cambridge Public Library. The Kensington Publishing CozyCon features 22 writers and runs from 1-4pm. If you get a chance to check it out, you should. Thanks for the heads-up, Jay! Oh, wait, I think that's "headsup." Or is it "heads up?" It looks like many of us have been writers and/or editors at one time or another. I worked for 30 years as a technical writer in the medical device industry. It does help to have those skills when dealing with legal documents. I have caught typos that really affect the meaning in important documents. I can't wait for A Bitter Feast and will have to relisten to The Sound of Broken Glass to see if I can figure out where you want to go with the plot. My copy-editing skills are pretty good, or so say the people who have hired me to copy-edit/proofread for them. And I'm fairly good at compound words, too. What a perfect share for spring, Debs! I loved it. And that cover - I'm absolutely gaga for it! Thank you, Jenn! I seriously love it, too! 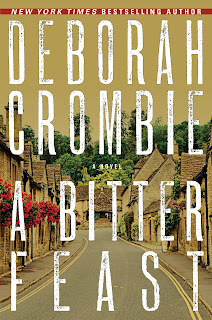 Deborah, I'm so excited to know you have not one but two new books coming out! I can't get enough of Kincade and James! Get busy on that new story! Debs, I am so excited about A Bitter Feast. I really need a Gemma and Duncan fix. The setting at Melody's family home is something I'm looking forward to, too. You always have such great settings, and one of my favorite aspects of your stories are how you let the minor characters grow and become so integral a part of the series. My copy editing skills are decent. I actually enjoy it. I've mainly done corrections for myself and for my husband. His army correspondence has required careful scrutiny, so he's happy he married an English major. Haha. Towards the end of my bank job, I was mostly verifying names, addresses, and account numbers. I was also asked to proofread things at my state jobs. Compound words can be a problem but spellcheck alerts me. Most of my friends aren't going to care if I mess up. Happy to hear about the newest book. I love gardens.